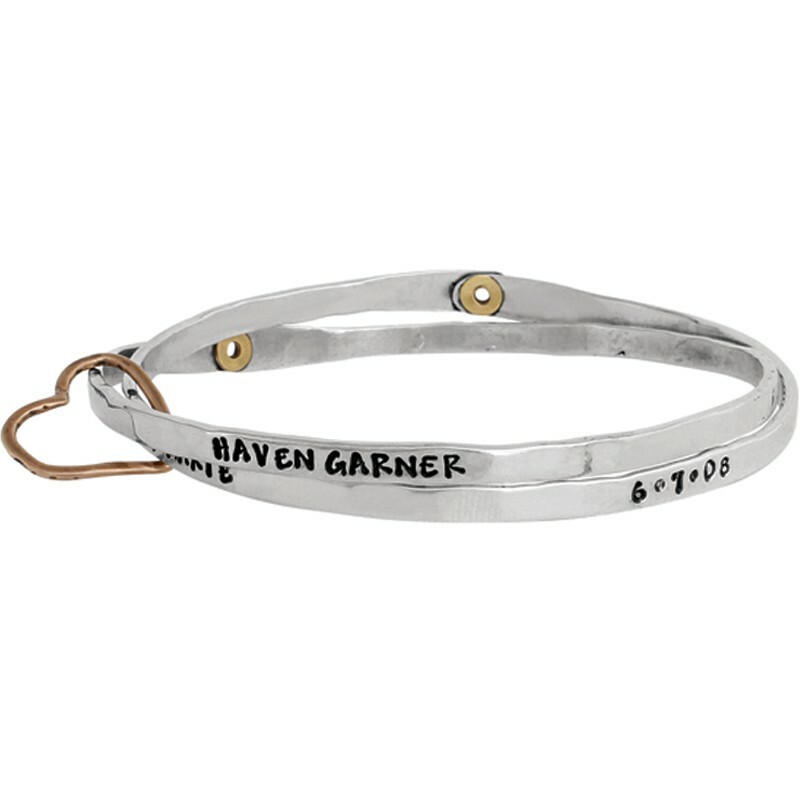 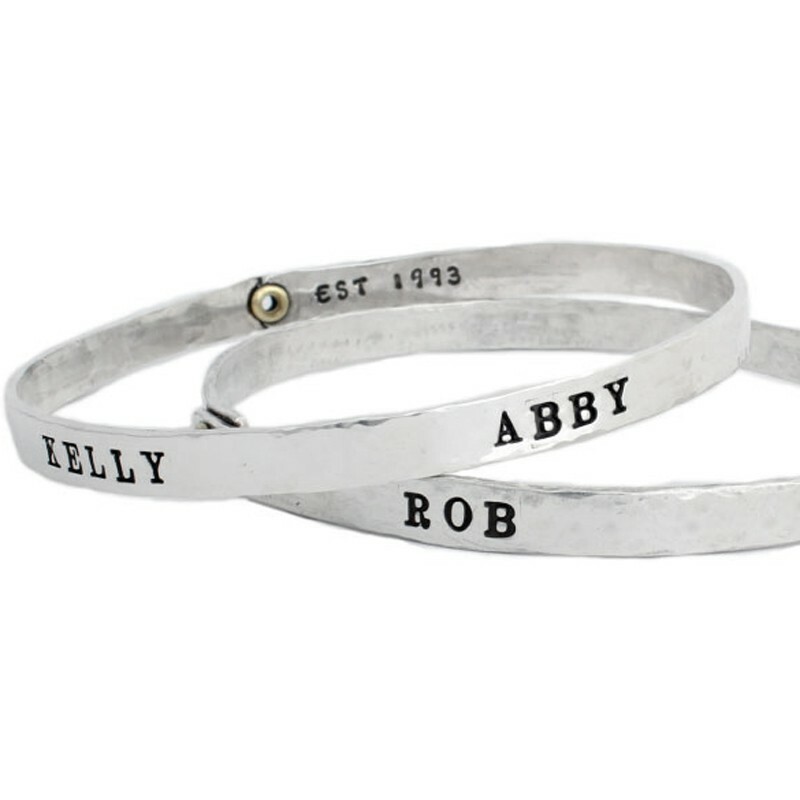 Stacking bangle bracelets are a great way to build a special customized gift for any grandmother. 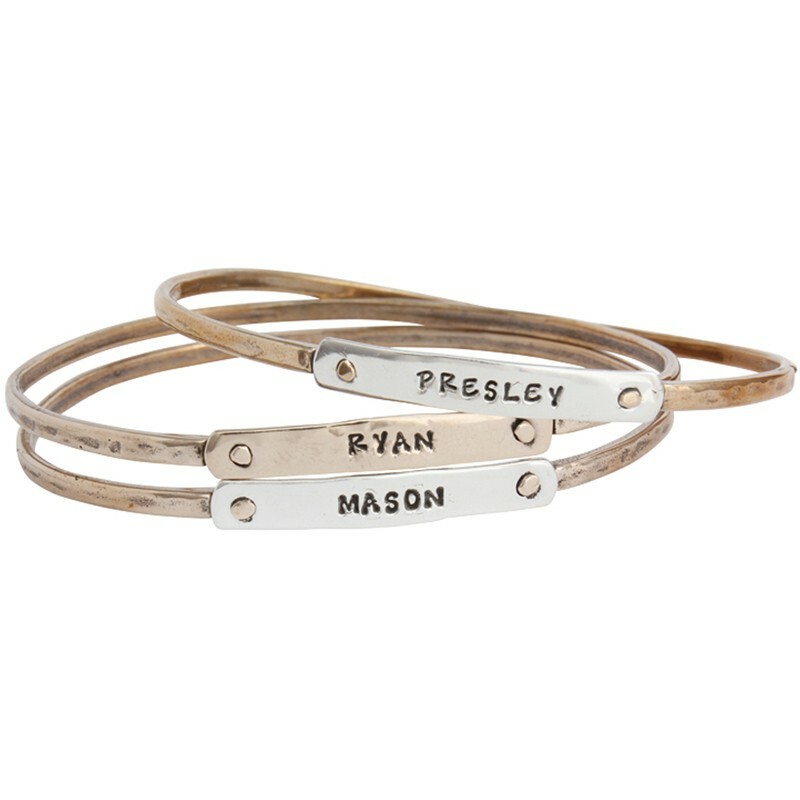 Represent each grandchild with their own personaled silver stack bangle and then add additional bracelets as the family expands! 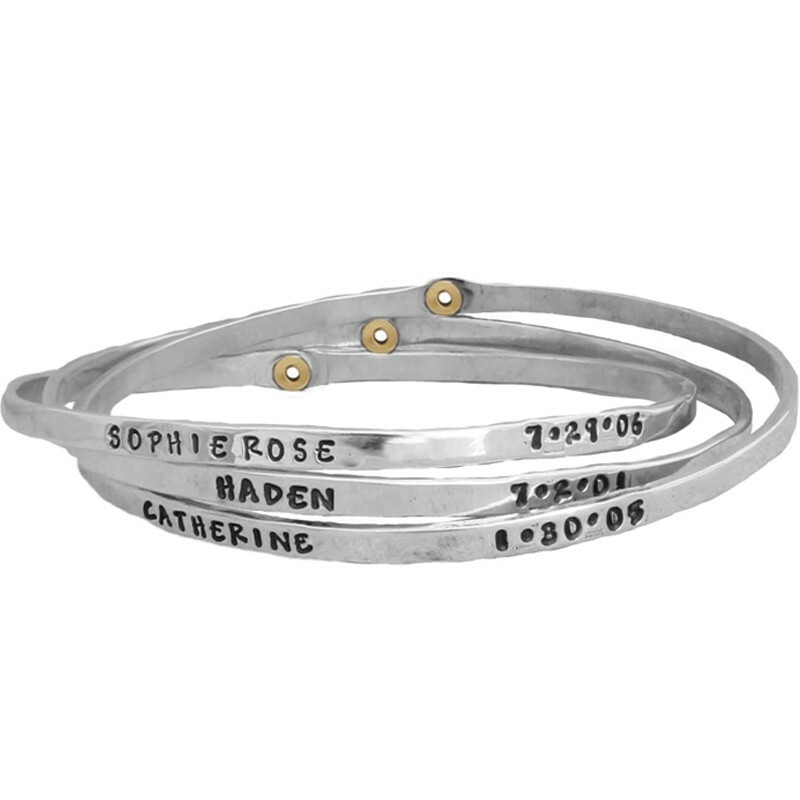 "Grandmother's Bangle Bracelets Personalized for Three Children, Silver and Gold Stacking Bracelet, Beloved Bangle Set"
"Personalized Bangle Bracelet Silver, Family Bangle Bracelet"